After much teasing and Comic Con hype, the trailer for the upcoming Ryan Reynolds' Deadpool flick is here in all its profane glory. Directed by Tim Miller, Deadpool sees the second time that Reynolds' has donned the titular costume, previously (and disastrously) appearing in X-Men Origins: Wolverine. Now with the promise of a hard R-Rating, expect this second outing to packed with obscenities, sexiness, and violence. Based on a screenplay from Rhett Reese and Paul Wernick, Deadpool follows a terminally-ill mercenary left with healing powers, the result of a rogue experiment. Hopefully Deadpool will provide the loveable Reynolds with the hit he deserves. Watch the trailer below. We've copied in a beautiful GIF below - don't say we're not good to you. 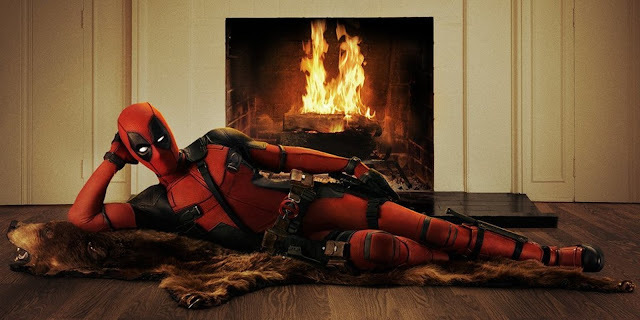 Deadpool hits UK cinemas on the 5th of February 2016.